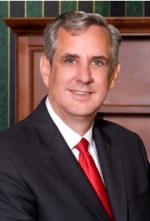 Naperville DUI Lawyer Donald J. Ramsell wins Illinois Supreme Court eavesdropping case for his client. "Obviously, my client is extremely pleased with the outcome. We felt that it was the correct decision. My client was simply trying to keep a record of a court proceeding that he was handling pro se, there was never any nefarious intent on his part, “ explains criminal defense attorney Donald Ramsell.